I have found that browsing through your excellent mining web site which I found by chance when browsing for Marlpool have recalled many memories which prompted this e mail. I will continue to browse whilst I am alive because you have a fantastic range of content. The attached file is of my memories of my employment with the NCB from 1958 to 1968. I hope you may find it of interest and you may edit it or use it as you wish. I wish there was more information about Area Central Workshops. The only mention I can find is in Bob Bradley’s file year 1965 page 5. The workshop at Bestwood was opened in 1958. I was involved in the layout of the recently built new building. The workshop at Moorgreen was much older. I do not know when it was opened. The attached file is of my memories of my time with the NCB East Midlands. 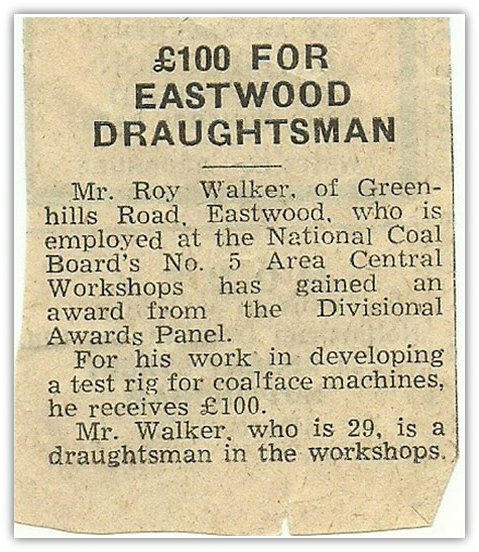 I was never a miner being an engineer who served an apprenticeship as a fitter and graduated into the drawing office after obtaining qualifications in production and mechanical engineering at Heanor, Derby and Nottingham technical collages. 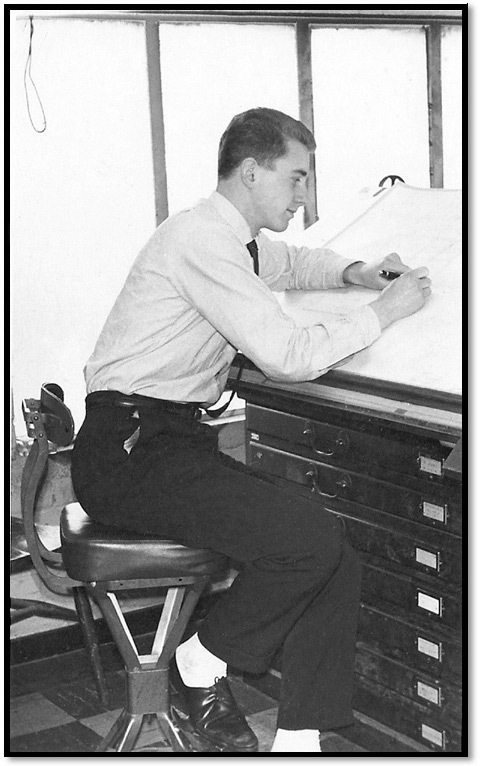 I joined the NCB in 1958 after the company where I worked British Celanese at Spondon was taken over by Courtaulds whilst I was doing national service in the RAF and the drawing office which had employed 70 draftsmen had been closed. The factory went into decline it finally shut in 2012. In 1954 it employed 20000 people. I can only recall some of this information from memory as at the time I had no interest in the engineering side of the NCB. I believe that the workshops were set up as mechanisation came in to try to be more efficient. The first Anderton shearer in the region was at Gedling in 1956 and then 6 others were bought for No4 Area, one at Kirkby, another at Teversal to start with and in No6 Area one installed at Radford. I think that because of the trepanners and shearers and various other machines such as Meco Moores ( still used in No3 Area up to 1966/67), Huwood Slicers, Ploughs, etc it was thought that Central stores and workshops be set up sooner than continually having to send back to the relevant firms for repairs or replacements etc, teams of mechanical and electrical engineers were set up and obviously spare parts were ordered from the firms and so a reasonably quick replacement part could be supplied to the relevant colliery and/ or a reconditioned unit supplied with the broken down unit being sent back to the workshops. It was thought that using central stores and workshops to specialise then only one place would need to be contacted for a particular item. I remember that lorries were kept at 2 central depots, South Normanton and Thoresby. Once the system got going it worked reasonably well. 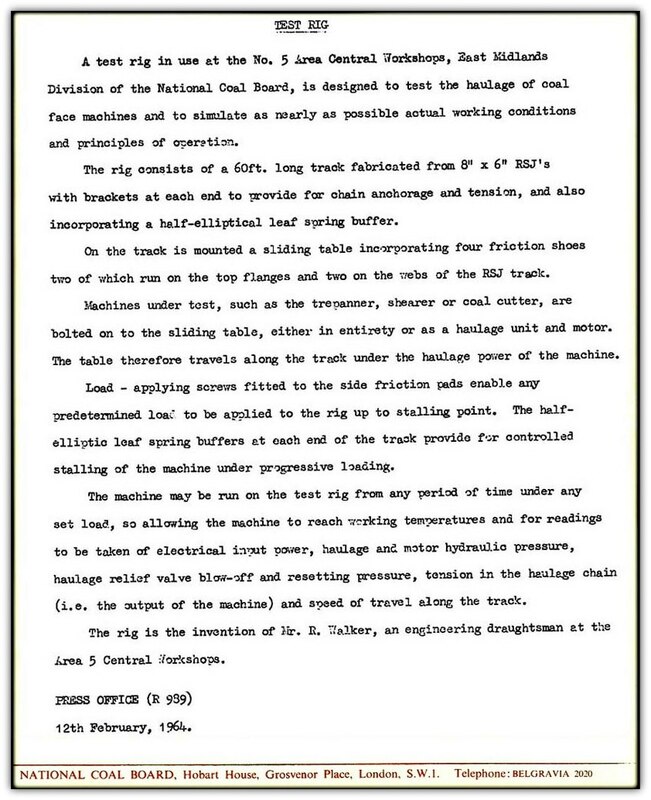 'A calls' from the pit meant that a replacement part or another machine was needed immediately or as soon as possible or production would suffer. 'B calls' meant general replacement as and when in stock within a few days. Only the Manager could authorise 'A calls'. As you say Bestwood was opened in 1958. Duckmanton was used for chock repairs. Moorgreen was probably opened in mid 1950s although one source quotes 1950? Later cables were repaired at Blackwell. 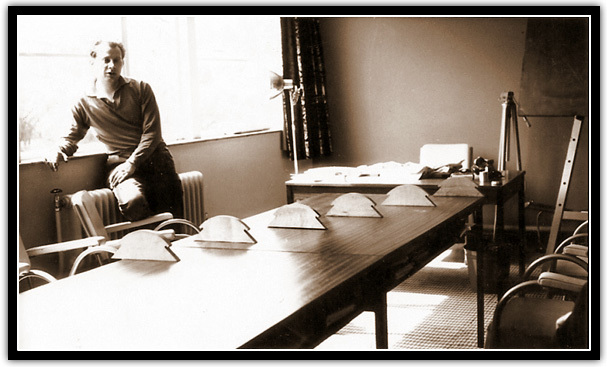 There was another workshop at Swadlincote then Bretby which eventually became the NCB major development unit. I hope this information is helpful but I am not sure whether it is all correct. Maybe some other reader could enlighten us. You say that you were on Method Study duties from 1965 - 1968, I hope this information is of use. 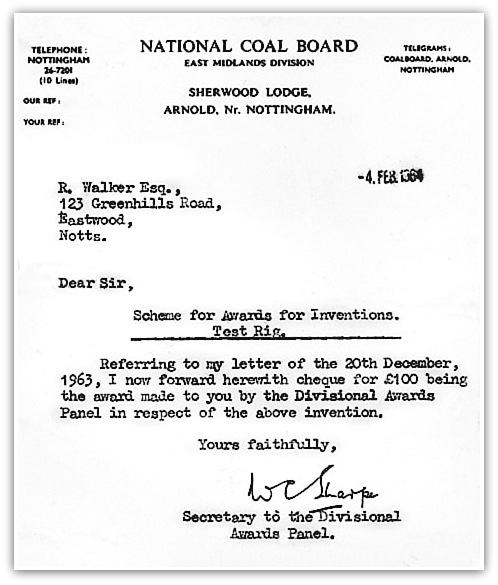 From 1st April 1967 the NCB was reorganised. New Areas were formed. Area Directors replaced Area General Managers. Shirebrook (working Deep Soft and Main Hard) and Warsop (working High Hazles and Main Bright) were transferred from No3 Area to the new North Derbyshire Area with HQ at Bolsover. Creswell (working High Hazles and Clowne) was transferred from No1 Area to North Notts. Bevercotes - Not operating due to shaft problems then blocking out. The rock that you describe could not be with Low Main, Deep Soft, Deep Hard, Piper, Dunsil, 1st Waterloo. That leaves TopHard that did have rock above the seam in places. Do not know about High Hazles or Clowne or Main Hard or Main Bright. One of these is possible which could lead you to the district in question. Here's hoping that the list may jog your memory.